The ACS712 Current Sensor Module is an analog input that provides accurate measurement of AC and DC currents. 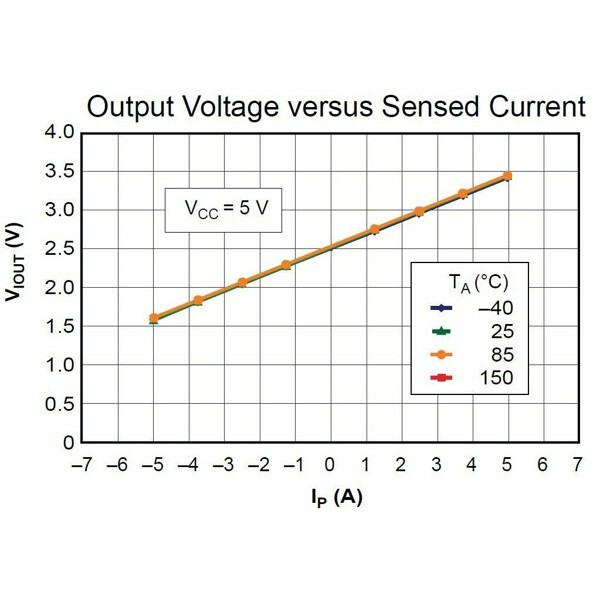 Current sensors are used to monitor the amount of power a circuit consuming. 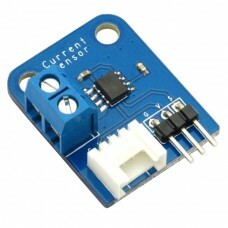 This current sensor module can handle AC or DC currents up to 5A. A single analog output signal connects to your microcontroller to provide the sensor readings. This module operates at 5V. Connect a 5V power supply to the Voltage (V) and common Ground (G) pins. Connect the analog Signal (S) output pin to an analog input on your microcontroller. Connect the circuit to be measured to the screw terminals. The analog output signal will be proportional to the amount of current passing through the screw terminals.